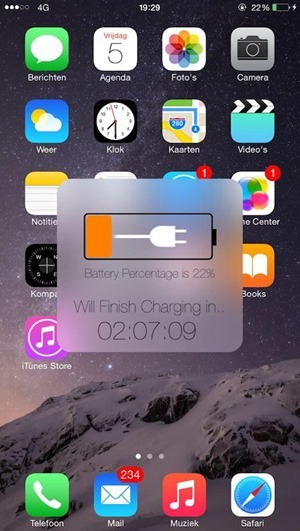 A new jailbreak tweak gives owners of iPod touches, iPhones and iPads a new and much improved idea of just how long they have before their batteries die as well as how long they will take to charge. What’s even better is the fact that it blends in well with iOS itself and can be activated via an Activator gesture. 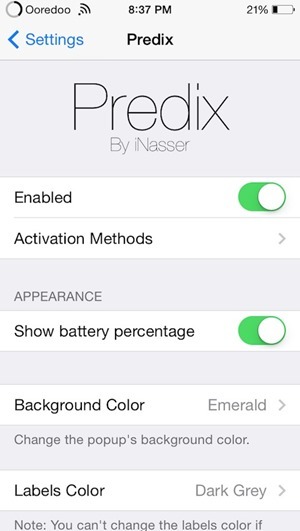 The tweak we’re talking about is called Predix and while it’s not free, it isn’t likely to break the bank at $1.49. If we’re honest though, if you’re like us and have always wished for some way to at least have an idea when your battery will run out of juice then the entry price being asked here is trivial to say the least. We really don’t begrudge anyone getting paid for their work, especially when it’s awesome. We’d have to put Predix in that category, because it’s the kind of thing that should be part of iOS as standard. 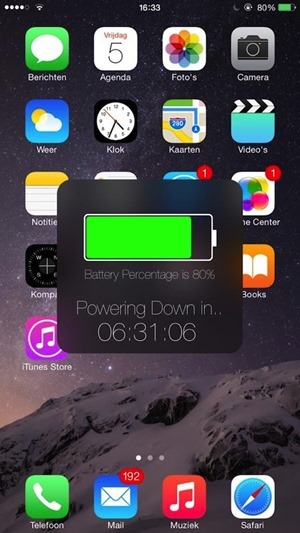 The tweak itself supports iOS 8 and iOS 7 and is actually a simple canvas that appears over whatever’s on-screen when a simple Activator action is performed such as a swipe or particular button combination is pressed. 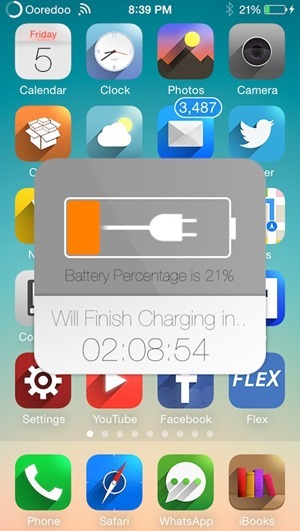 Whatever combination you choose, the resulting overlay will announce how long you have left before your iOS device runs out of power or, if it’s currently charging, how long it will be before that magic 100% goal is reached. 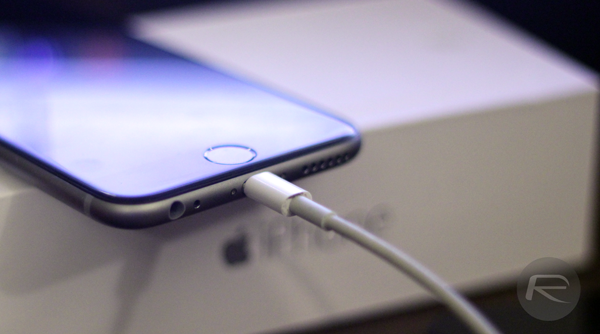 If you’ve ever been sat waiting for an iPhone to charge before dashing out of the door then you’ll probably like the sound of that. But wait, there’s more! Predix also has its own Settings entry in which you’ll find options for customizing how it presents its information. The app’s Cydia page claims a possible 24 different colors and styles to choose from, so you’re likely to find something to suit your particular mood or theme. Predix can be downloaded from Cydia under BigBoss repo now. Nice but I rather to stay non jailbreak on iPhone 6 plus with 8.1 but thanks. It is just the same as the phone’s built in. What’s the point? What is the name of the theme in the last picture? Thank!